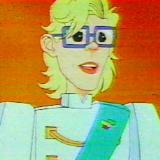 Prince Lyle, son of King Charles and older brother to Princess Lana, is Keeper of the Sacred Square on Tetris. Until Lana tells him of it, he is unaware of his father's disappearance. He is extremely clumsy and wishes to stay on Tetris due to his being appreciated there.